Elegance blended with comfort in a unique pump adorned with two-tone velvet and buckle strap. 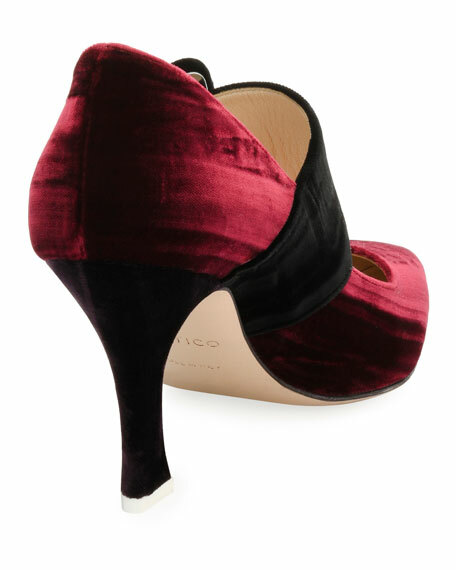 Attico "Elsa" crushed velvet pump. For in-store inquiries, use sku #2272923.